I have not eaten home roasted chestnuts in years . Those days my grandma will boil and even remove the shell for us , those were the days where my siblings and I were pampered by her. The long hours of waiting for the nut to soften takes a bit of time and keeping track of the water in case the water dries up before the nuts are soft , makes me not wanting to make this delicious nuts for snacking. But after purchasing the Philips Pressure Cooker and joining the PPC group in facebook, it changed my mind of making my own from home instead of buying those roasted ones from the stall selling roasted chestnuts. With PPC, it makes life so much easier and food can be ready in half an hour and food taste even better because it traps the aroma and flavors get infused into the food. 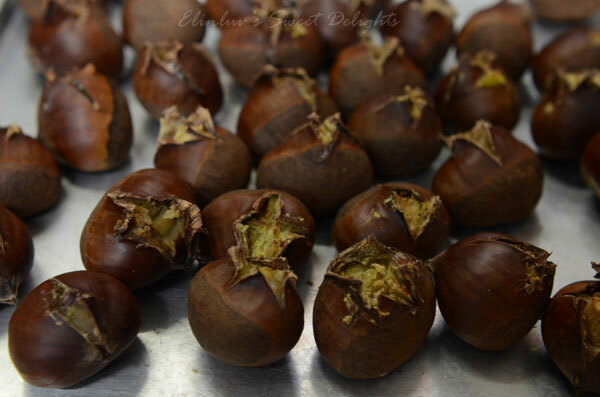 Chestnuts has lots of nutrients and vitamins that are good for us. Check the link to know why we should consume more of these delicious , sweet nuts. 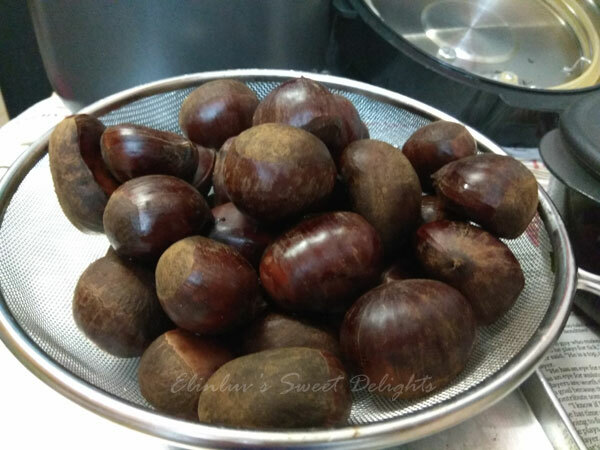 Wash clean chestnuts . 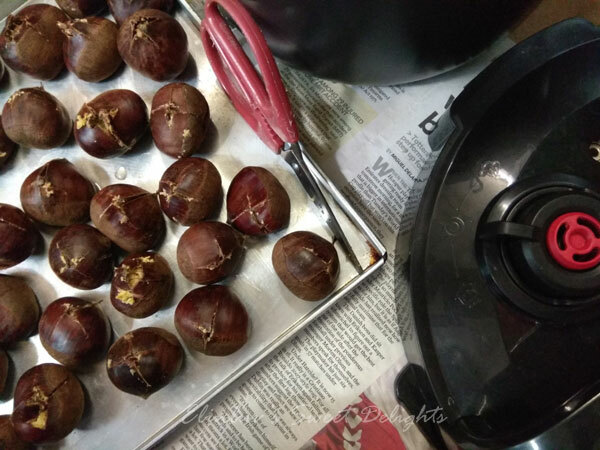 Place them in Philips Pressure Cooker and pour water just enough to cover the chestnuts. Add salt and give it a quick stir. Cover the lid, turn knob to seal. Set to Bake, set Keep Pressure Time to 7 mins . 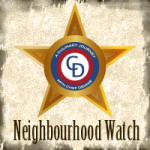 Once the PPC beeps , off the PPC. Natural release is always safer .This will take about 7-8 mins. Once the valve is down, turn knob to Vent, then remove lid. 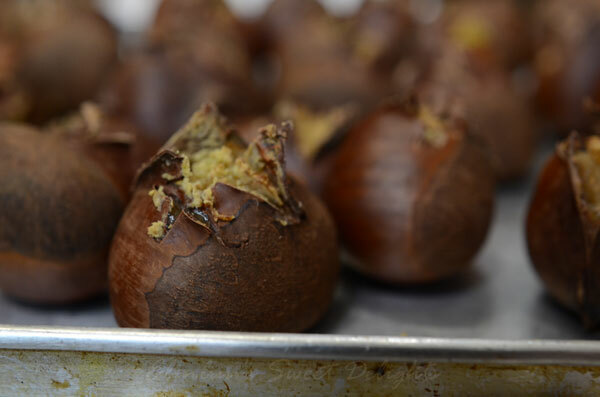 Pour out the chestnuts and drain off excess water. 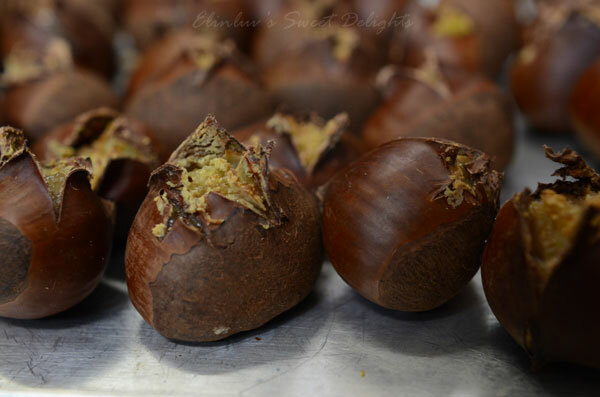 Using a sharp penknife, cut a criss-cross on the surface of the chestnuts and place them on a baking tray. Space them out evenly and bake at 400F or 204C in a conventional oven.